I have had the opportunity to work with Jerry Conrad for the last eight years. 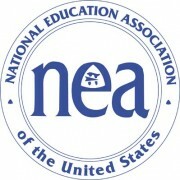 At NEA, we value the power of relationships and professional ethics. Jerry has a way of personalizing his support in a way that allows the customer to feel like he is a member of the team. Jerry exemplifies professionalism, responsiveness, and attention to detail beyond measure. He is constantly seeking new resources to enhance the work we do together which in turn allows us to provide the best possible training to our leaders, staff and members. I highly recommend SG Maverick for all of your leadership development needs. Jerry, I want to thank you for all the hard work you did for Muskegon Community College as the interim HR Consultant and your valuable contribution, in particular, to my Student Services Division. You provided continuity, consistency, and, stability to the HR Department during such a critically important transition period for the college. The entire college community trusted and believed in you and everyone is much better off as a result of interacting with you. I would certainly support another consulting assignment with the college by your organization, S.G. Maverick, Inc.
Jerry, your presentation entitled Finding the “G” Spot and the Power of the Platinum Rule was outstanding. Often the use of “dynamic speaker” is overused in our business. However, in your case – Jerry – it fits. You have a unique presentation style that makes you an extremely effective speaker. You demonstrated the energy and commitment to ensure you were right on target. You were definitely the highlight of our meeting in St. Louis, MO. I have not seen a room full of women laugh that hard in a long time. We appreciate that you made sure all the details were worked out before your presentation. You knew the audience you were coming to present to and I’m sure that by taking the time beforehand it enhanced your program a lot. I’m hoping to get you on next year’s program in Boston. If you ever need a testimonial, please feel free to use me as a resource. You helped us focus our energies and provided valuable expertise and recommendations tailored to Terrace Plaza and Sealed Power needs. You helped us mobilize our internal resources without losing sight of cost-effectiveness; you delivered what you promised. You worked well with everyone on the Taking Care Committee and we look forward to working with you in the future as our wellness consultant. Jerry, I am very pleased to have your programs available to the Minnesota Department of Corrections. I also like the fact that employees can access the DiSC material from their worksites throughout the state. You made the entire project extremely easy to implement. In addition, I have received numerous comments on the quality of the material. However, I have been most impressed with your extremely high level of customer service. Many organizations offer DISC but you have delivered unparalleled service. Many people teach customer service, you live it. Your generosity and follow-up made things happen. I also like the fact you have worked with police, corrections, and FBI so you know our industry. I cannot thank you enough for all of your assistance. I just attended a presentation of Jerry Conrad’s about happiness and it was amazing! His points were “right on” and I took away information I could implement immediately, like how to walk and move my body to radiate confidence and happiness; how to increase my energy level and mood in just a few seconds by laughing; and positive ways to respond to routine questions such as “how are you” in such a way that it raises my confidence level and helps me raise the confidence level of others. Learning ways to tweak my thinking so I am more positive makes a huge difference; not only to me, but also to everyone I meet. Jerry’s presentations are fun, interactive, and informative. It was remarkable to see the change in the participants’ mood and energy levels from the start of the presentation to the finish. Everyone left the presentation feeling uplifted, energized, and empowered. Jerry is awesome! You are indeed wonderful. It could not have gone more smoothly. Many thanks for coming to my rescue in such a prompt and professional manner. You certainly “saved the day! The DiSC Classic 2.0 is an easy read. The descriptions of and reasons for my way of dealing with life’s situations and people were very clear. The suggestions on how I could enhance my behavior and fashion stronger relationships were awesome and achievable without the feel of losing myself in the transformation. The DiSC Classic 2.0 is a tool I am certain to use in future trainings. Your customer service is far and away some of the best I have ever received. Jerry, your presentations were great and the effort you put into learning about the FBI paid off in the student’s response and learning. Thank you. The information you provided will be extremely useful to us in our daily activities with each other and the management of our employees. You have been extremely instrumental in informing everyone on the importance of communicating and interacting with each other on both a professional and social level. Jerry, you really made a difference here. We are improving as a group, and our breakthrough began with your observations and challenges. Team members are more engaged and more vested. Our meetings are much better now. Also, your DiSC blog is fascinating; it makes perfect sense. Working with Jerry has been great. Extremely knowledgeable and manages the DiSC process in a way that participants get a lot from the program. We will continue to use Jerry in the future. The Peer Advisor training was awesome! Fabulous Jerry!! The Peer Advisors really enjoyed their time with you and we all learned a lot about each other as a team. Thanks for being such a wonderful facilitator. Jerry, your knowledge, insightful comments, and enthusiasm about the DiSC analysis kept the audience engaged. I know that this was difficult to do as you were scheduled to present right after lunch, (the most difficult time to keep someone’s attention). I appreciate your availability and thoroughness while working with me to prepare and schedule this seminar. You met my goals for the presentation. I can clearly see the enormous amount of insight everyone received because of your workshop. I know in cannot afford not to provide this training for my team. Your presentation was well beyond my own expectations and several of the participants commented to me that your program was one of the best division meetings that we have ever had. I especially appreciate the time that you spent with me on the phone and in person prior to the seminar in assessing our needs and determining the best way to work with the group. Jerry Conrad’s abilities as a speaker and motivator are first-rate. His approach to problem solving through understanding and managing attitudes works with audiences of all occupations, ages, and personal histories. His use of graphics, props, and group interaction keeps his seminars lively, interesting, and meaningful.